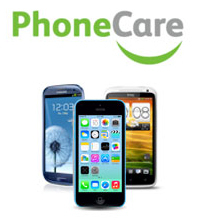 Phone Care mobile phone insurance is sold by e2save.com, a trading division of The Carphone Warehouse Limited and underwritten by Aviva Insurance Limited. Cover includes damage, breakdown, theft, and accidental loss, so if you ever need to make a claim you can be confident you are in safe hands, and that it is easy and straight forward to do. When you buy a mobile phone from our company, we'll give the option to choose whether or not you'd like to take out insurance cover. If you choose to take out cover for your mobile phone, you will automatically pay premiums on a monthly basis, so if you don't want to stay with us, let us know by calling 0800 049 6189. Your first payment will be taken upfront in the checkout when you place your order. If your phone is damaged, lost or stolen, we will, where possible, replace it with a refurbished phone of the same make and model. b. we replace your phone with a different make or model and you can no longer use them. Terms & Conditions for Phone Care Insurance (April 2019 - present) please click here. 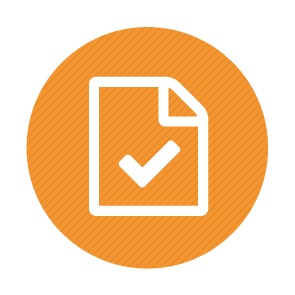 claims for breakdown before the manufacturer's or PhoneCare warranty has expired; or any claim for unauthorised use. The excess is the amount you must pay toward the cost of a claim. You must pay the excess (shown on your insurance certificate) for each claim you make. There is no excess to be paid on a claim for breakdown. If your phone has been stolen, you must report it to the police and obtain a crime reference number. To make a claim for theft or loss call us on 0800 049 6189 or alternatively visit one of our Carphone Warehouse stores. To make a claim for damage or breakdown, we recommend you visit any Carphone Warehouse store so that your phone can be promptly assessed. If you have difficulties in reaching one of our stores, please call us on 0800 049 6189. You have the right to cancel your policy within 14 days of purchasing it. If you cancel your policy during this period you will be entitled to a full refund of the premium paid, provided there has been no claim. After this period, you will not be entitled to any refund and will be covered up until the end of the month covered by your final payment. For full details on cancelling your policy, see the terms and conditions. Please note you cannot cancel your policy in a Carphone Warehouse store. For more information about cancelling your policy, please take a look at our terms and conditions. Phone Care policies are underwritten by Aviva Insurance Limited and arranged and administered by The Carphone Warehouse Limited (CPW). Aviva Insurance Limited is authorised by the Prudential Regulation Authority and regulated by the Financial Conduct Authority and the Prudential Regulation Authority. CPW carries on regulated and unregulated business. CPW is authorised and regulated by the Financial Conduct Authority in respect of its regulated business. CPW is not regulated in relation to the sale of this policy. Aviva is regulated in relation to the product and post-sale activities. Full details of the regulatory status of these companies can be found at www.fca.org.uk. Our goal is to give excellent service to all our customers but we recognise that things do go wrong occasionally. We take all complaints we receive seriously and aim to resolve all our customers problems promptly. To ensure that we provide the kind of service you expect we welcome your feedback. We will record and analyse your complaint to make sure that we continually improve the service we offer. a. We will acknowledge your complaint promptly. b. We aim to resolve all complaints as quickly as possible. Most of our customers concerns can be resolved quickly but occasionally more detailed enquiries are needed. If this is likely, we will contact you with an update within 14 working days of receipt and give you an expected date of response. If you are unhappy with any aspect of the handling of your insurance we would encourage you, in the first instance, to seek resolution by contacting us on 0800 049 6189, or in writing either via our website or by letter addressed to Phone Care, PO Box 358, Southampton SO30 2PJ. Or simply log on to their website. Aviva are members of the Financial Services Compensation Scheme (FSCS). You may be entitled to compensation from this scheme if Aviva cannot meet their own obligations, depending on the type of insurance and the circumstances of your claim.